The Plain & Valley - Reach 27,800 households with just one paper! Reach 27,800 households with just one paper! The Plain and Valley is a regional newspaper that is distributed for free once a month via Canada Post to 27,800 households in Southeast Saskatchewan and Southwest Manitoba. 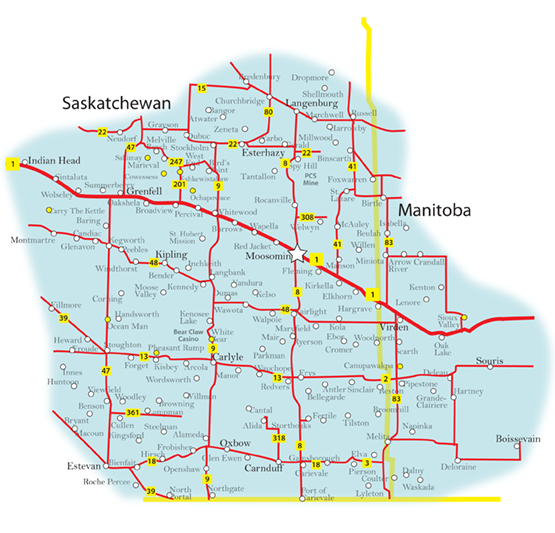 Our coverage area runs as far south as the U.S. Border, as far north as the communities along the Yellowhead Highway, as far west as Indian Head, and as far east as Oak Lake, Manitoba. We take great pains to include locally written news and feature stories in the Plain and Valley, so that people are happy to take it home with them when they find it in their mailbox!